As a parent, you want the best for your child. When it comes to bedding, this is not just because of altruism: you want your child to sleep well so that you can sleep well! For many parents, helping a child to get a good night’s sleep means getting a memory foam crib mattress. 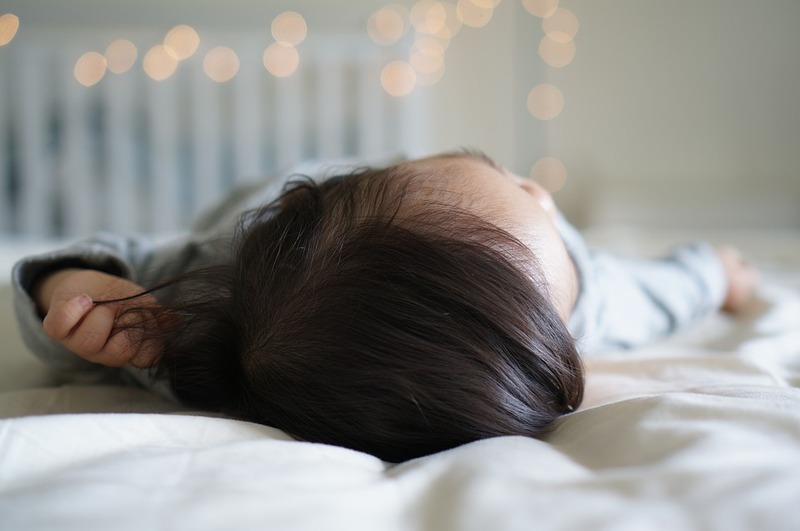 If you have been hitting Google in the hope of finding something to help your child reliably sleep through the night…I am proud to say that you have come to the right place. We can help you to get the mattress you need at the right price. If you are looking for a quality memory foam mattress for your child, My First Mattress offers one of the best options available on the market when it comes to ensuring that your child sleeps comfortably and that the headaches you have to deal with as a parent are minimal. As the name suggests, memory foam is a type of foam that maintains a certain level of memory of the shape of the body that lies on it. Memory foam is designed to equalize the pressure that the mattress exerts on the body, even though the human body is not an even surface. By exerting equal pressure on all points of the body, memory foam eases the problems that pressure points cause. These problems may include pressure sores, poor circulation, joint pressure, poor spinal alignment, etc. Such problems can affect small children just as they can affect anyone else, except that small children are not able to say when they are in pain. This makes it even more necessary to try to avoid these problems when possible. That simplicity of construction specific to the My First Mattress memory foam crib mattress is yet another benefit. There is only the removable, waterproof, washable cover; a 0.5” layer of gel memory foam; and a 4.5” layer of base foam. There are no springs to break or come poking out. There are no endless layers of absorbent material to soak up fluids. Basically, it minimizes the things that can go wrong. This mattress has everything you need and nothing you do not need. One of the main advantages of memory foam is that it is waterproof. This is essential for a child’s mattress. Even when children are wearing diapers, leaks happen. Little babies also frequently vomit. A waterproof mattress is easy to clean, and it will not begin to stink horribly over time. Not only does this My First Mattress model have a waterproof memory foam layer on top of its base foam, but the removable cover for the mattress is waterproof as well. This makes it an easy task to clean up the big messes often made by little bodies. While fluids will not penetrate completely through the removable cover, the soft material itself may retain some fluid. However, if you remove the cover and wash it, this is will not be an issue. Another functional advantage of a memory foam mattress is the fact that it is quiet. Many children’s mattresses contain springs, multiple plastic layers, and other materials that tend to rustle and squeak in response to movement. This becomes an issue not just when children play, but also when they are moving around in their sleep. Unlike other mattress materials, memory foam is very quiet. Even when children walk on it or slide across it, it does not make much noise. In fact, a child’s mattress that is made of memory foam may make less noise in response to movement than his or her parents’ mattress. This certainly applies to the My First Mattress model. Finally, there is the issue of jumping. Spring-based mattresses will always present the temptation for children to jump on the bed because they are bouncy like trampolines. Memory foam mattresses are not bouncy. Instead of springing back upward, a child that jumps on one of these will simply sink in. This cuts down on annoyance, and it is safer as well. One issue of concern with crib mattresses is the possibility of gaps between the mattress and the side of the crib. When there is such a gap, this presents a danger in that children can get stuck and receive injury. With memory foam, manufacturers can make the mattress so that it fits snugly and does not leave any room for this to happen. This is the case for My First Mattress: it is made to fit snugly into cribs and lot leave any gaps. Another safety concern is suffocation. This is particularly important for small babies, who may not have the ability to move to safety if they begin to suffocate. While memory foam is soft, it is still firm enough that a child who is lying flat will not sink in any significant amount. Allergic reactions can also be a matter of concern for mattresses. Some mattresses are made of materials such as natural latex – the same stuff that is used to make rubber. Some people are unfortunately allergic to natural latex. For them, contact with natural latex will result in dry skin and rashes. If your child is currently exhibiting dry skin and rashes, you may want to check his or her mattress. If your current mattress contains latex, this may be the cause. A switch to memory foam could help to ameliorate the problem. My First Mattress does not contain natural latex. Its memory foam layer is made of polyurethane, and the whole mattress is hypoallergenic. Aside from the material of the mattress itself, something else that can cause allergies is the collection of foreign matter within the mattress. Specifically, this means dust mites. Dust mites are tiny creatures that feed on the dust that your body creates when it sheds skin cells. This dust tends to collect in mattresses, and this can lead to millions of dust mites living in your mattress. Dust mites are usually harmless, but if they are plentiful in your environment, you will most likely get them on your skin and breathe them in. This becomes a problem because many people are allergic to them, making them a leading cause of indoor allergies. If your child is exhibiting respiratory allergies, this may be the cause. Memory foam is superior to other mattress materials when it comes to minimizing dust mites. The same characteristics that make it waterproof also make it mostly impermeable to dust and dust mites. There are very few places in memory foam for dust to accumulate and for dust mites to live in. According to the manufacturer, My First Mattress is mite-proof. Also, again, there is the issue of jumping. Not only is it annoying for parents when children jump on beds, but it can be dangerous as well. Injuries resulting from children falling from beds or colliding with the sides of cribs are commonplace. Many of these can be avoided by removing the incentive for children to jump on beds. Again, since memory foam mattresses are less springy, children do not have the same tendency of jumping on them. Memory foam mattresses can vary substantially in price. For queen- or king-sized mattresses, the price can range from just over one hundred dollars to several thousand. This wide variance is mostly a matter of complexity in design and construction. For crib mattresses, memory foam tends to be one of the more affordable options. This is partially because memory foam mattresses for children tend to be less complex. In terms of design, functionality, safety, and cost, memory foam is superior to other mattress materials in addressing the needs of parents of small children. Some hybrid models actually have springs and other such components in conjunction with foam, making the problems associated with those things just as much an issue as they are for “normal” mattresses. This is not the case for My First Mattress: with its simplicity in design, it maximizes the benefits of memory foam.